This site allows customers to sell their used equipment . Only Rens Heijnis equipment may be sold. Before shipping, the equipment is thoroughly checked, repaired if necessary. Used equipment is sold with 1 year warranty. 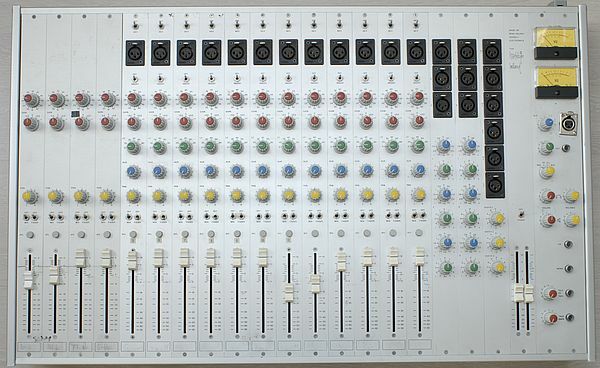 Characteristics: microphone gain, 48V, insert, LF, AUX, PAN, AFL, Fader, Fader on/off switch. 4 tone control units, 3 MS circuits (via insert) Master unit. Monitor unit with headphone and monitor amp, mono, +10dB, talk back, tape to talk back. Construction year: 1990, 4 basic units 1994. 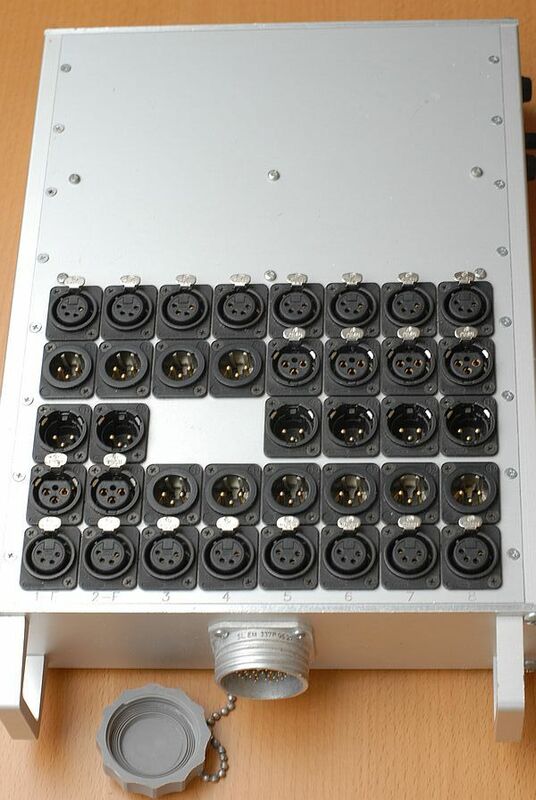 Stageblok with 16 aktive powered (4 pin XLR +60V) channels. Fixed 230V. Modification to 115V possible. Socapex connector for connection with 12 channel multicore cable. The other 4 channels left are only connected to XLR connectors.